I get so excited for the day after Thanksgiving when we forgo the nuttiness of the holiday shopping, opting instead for a trip to a local tree farm to cut down our Christmas tree. I’m often tempted to buy new ornaments to decorate the tree with, but last week began thinking about some fun ornaments that could be made at home. Since I LOVE the smell of cinnamon during the holidays, I decided on some cinnamon applesauce ornaments. These leave a luscious fragrance, require no baking, and can be used for multiple purposes. So I set out to make them… and the house instantly smelled like Christmas! Combine ingredients in a medium-sized mixing bowl and stir carefully until well blended. Use cookie cutters to cut shapes, removing excess dough as you work. Continue until all dough is used. 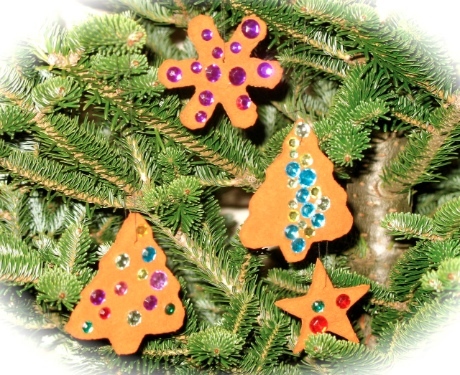 Poke holes into the top of each ornament with a small straw or other tool. After shapes are cut out, leave ornaments alone for about 10 hours. Very carefully flip ornaments every 10-12 hours until completely dry. This will take about 2-3 days. Decorate ornaments or just leave plain and tie a ribbon or string through the top of each one. You will want to work quickly because the dough gets very sticky the more you work with it. Try dusting your hands with cinnamon before working with the dough, or add a little more cinnamon or cloves if dough is too sticky. Choose simple cookie cutter shapes that will be easier to work with (the small stars I tried to cut out were tricky with this sticky dough). When I dried the ornaments on a discolored cookie sheet a chemical reaction took place that transferred the discoloration of the pan onto one side of the ornaments. I had a (mostly) silver pan again, but blackened ornaments. So be sure to dry them on parchment paper-lined pans or newer cookie sheets to avoid discoloration. If you don’t want to wait 2-3 days for the ornaments to dry, you can bake them in the oven at 150° for 1-2 hours. You can also use a dehydrator to dry the ornaments. Just make sure you have a smooth rack that fits into your dehydrator so the ornaments don’t end up with indentations from the slotted racks. Once my ornaments were dry, I pulled out a few craft supplies to decorate with. I chose glitter, jewels, acrylic paint, and some Elmer’s Glue to help things stick. 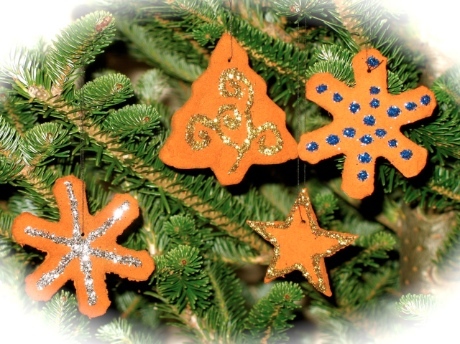 Here are a few glittery ornaments, using Elmer’s Glue and glitter. I’m a sucker for all things bejeweled… including Christmas ornaments. 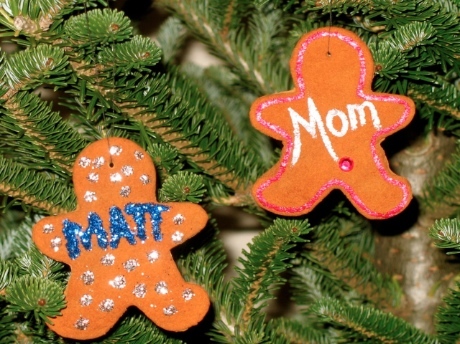 Personalized ornaments can be used as gift tags. Using acrylic paint and a small brush worked much better than glue for this purpose. These make a cute (and sweet smelling) addition to a pretty package! In addition to decorating my tree with these and topping gifts with them, I’m considering adding them to Christmas wreaths, hanging one in my closet, and maybe even hiding one in my car so I can enjoy the cinnamon fragrance on the go! 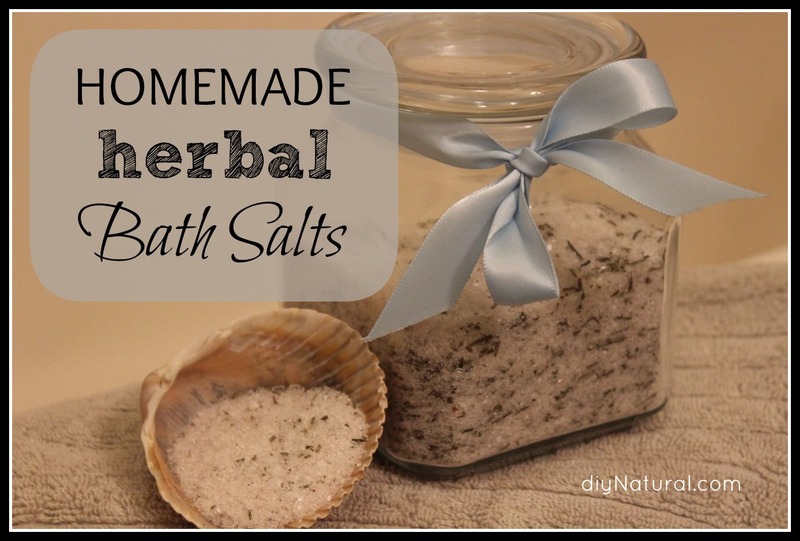 You’ll learn how to make bath salts so you can enjoy them in your own tub or give them away as gifts. It’s also a great project to do with friends and family. 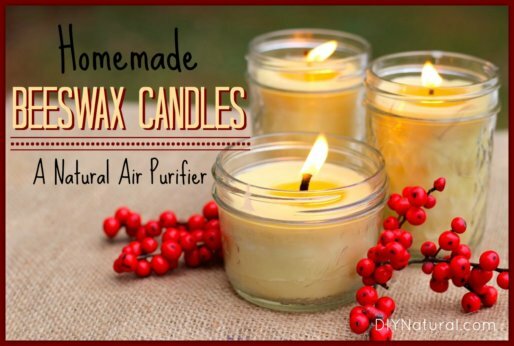 Learning how to make beeswax candles gives you a fun new skill and control over the ingredients. Enjoy using these, giving away as gifts, or even selling to your local community! 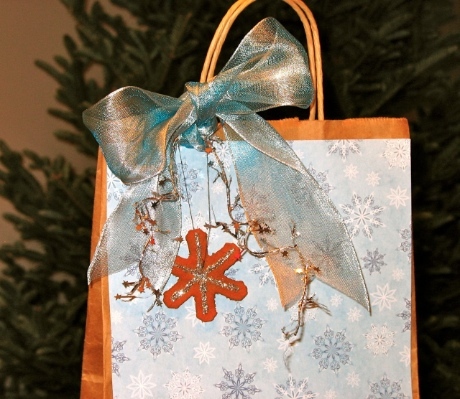 When you store your ornaments, do you wrap them in something to protect them…like maybe parchment paper or tissue paper? Yes. Betsy wrapped ours in tissue paper for protection. To keep from getting really sticky fingers while making this stuff, put the applesauce, cinnamon, and white glue (I always add a bit of this to keep the ornaments from crumbling after they dry.) 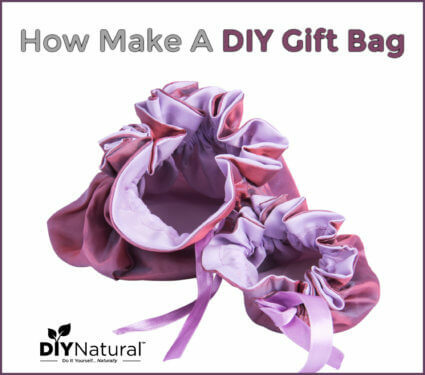 in a ziplock bag, shut it, and squeeze the contents around while they’re in the bag. I made these the other day and dried them in the oven. There are cracks in the surface of many, many of them. Is there a way to patch the cracks, or do I need to start over? What a bummer Linda. 🙁 If the cracks can be covered by adding glitter, beads, or another decoration, then that would be easier than starting over. You might also be able to patch the cracks by mixing up a tiny bit of the applesauce/cinnamon mixture and filling the cracks w/ this, then allowing them to air dry. approximately how many does this batch make>>?? ?….im thinking of making these for my sons first grade class christmas party…and i want to make sure i have enough for the whole class to decorate……. It really depends on the size of your cookie cutters and how thin they are rolled. I used a few small cookie cutters, rolled them 1/4 inch, and ended up with about 20 ornaments (after breaking 1 or 2). What a great idea for a class Christmas party! Make sure to poke the holes BEFORE drying, or you run the risk of breaking the ornaments when they are dry. Depending on how you want to hang them when dry, make sure your holes are large enough. Straws work well if you want to tie ribbon through the top. Have fun! Oh yeah! I’m sooo going to make these as gift tags! Especially since I’m MAKING all of my gifts this year! Love it. As long as they are completely dry they ought to be fine. How do these stand up to humidity? I made salt dough ornaments with my kids one year and had to discard them the next year due to mold. Also, how bug resistant are they. Since it doesn’t get cold here I’m worried that the sugar in the applesauce will attract ants. Cinnamon can actually be used as a natural insect repellent for ants, so you don’t have to worry about this. As far as mold, make sure to dry them completely and if you plan to use them again be sure to store someplace with the least amount of humidity possible. Also, Aleene’s Tacky Glue used in making bread dough will keep out bugs. That is part of their guarantee. Wow, we would make these the day after Thanksgiving to kick off the Holiday Season. I had forgotten about these little guys. Looks like I’ll be rebooting this family favorite! Thank you so much!